After his 1994 film Richie Rich, Macaulay auditioned for the role of Mark Sway in the film The Client. He didn’t get the part and decided that he was too burnt out to try harder for parts. Culkin wouldn’t be in another film for a decade. He returned to film in 2003 in the film Party Monster. None of his later films became anything to brag about but his purpose was artistic expression rather than fame and fortune. Paris Jackson, the eldest daughter of the late Michael Jackson, has a very tight knit relationship with her godfather, Macaulay. The two are often seen getting dinner when they are both in the same town. Here we see Paris painting Macaulay’s toe nails of all things, captioning the photo, “”Model? nah I paint hipsters toenails for a living.” Since the passing of Michael Jackson, Paris and Macaulay have kept their relationship closer than ever. In July 2017, there was a Facebook page titled ‘RIP Macaulay Culkin’ that gained a lot of traction among readers. In the ‘about’ section of the page, it said: “At about 11 a.m. ET on Friday (July 28, 2017), our beloved actor Macaulay Culkin passed away. 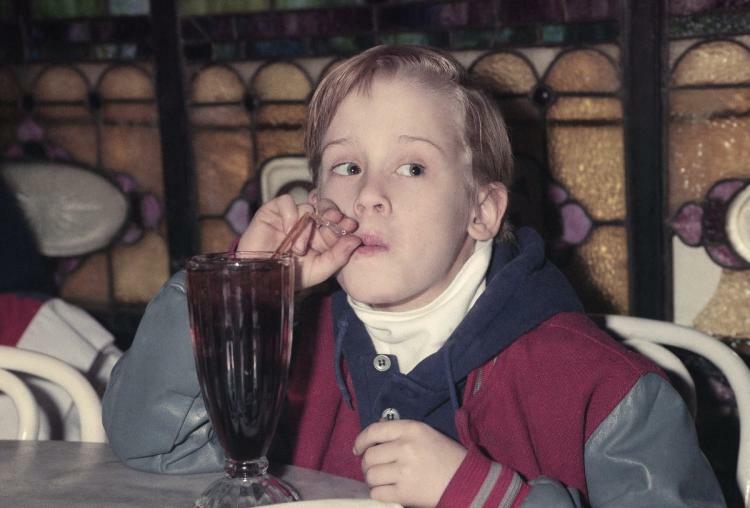 Macaulay Culkin was born on August 26, 1980 in New York. He will be missed but not forgotten. Please show your sympathy and condolences by commenting on and liking this page.” This was obviously a hoax in order to gain followers and likes on the social media platform. 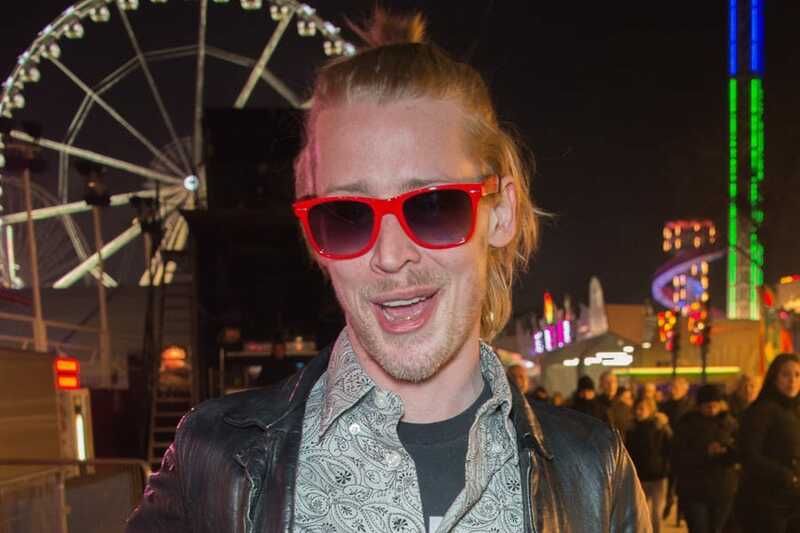 It seems that the substance abuse allegations were more than that as Macaulay was actually busted with the contraband in hand in Oklahoma City back in September 2004. He was arrested with 17 grams of marijuana, 16 grams of Alprazolam, and 32 milligrams of Clonazopam, both of which are controlled substances. 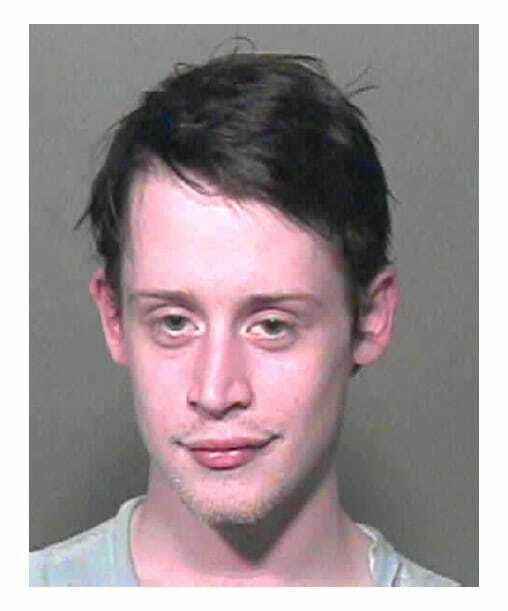 Macaulay was jailed and bailed out for $4,000. He got into some more hot water later on in 2005 but has since been quiet in the substance circuits. The ink on Macaulay’s divorce wasn’t even dry when he started dating fellow actress Mila Kunis. Macaulay and Mila were together for eight years, from May 2002 to December 2010. The world learned of their break up when Mila’s publicist came out with a statement saying, “The spilt was amicable, and they remain close friends.” Whether that was true or not remains to be seen but they have never spoken ill of one another. This was approximately the same time he was seen around the city looking unhealthy and gaunt. 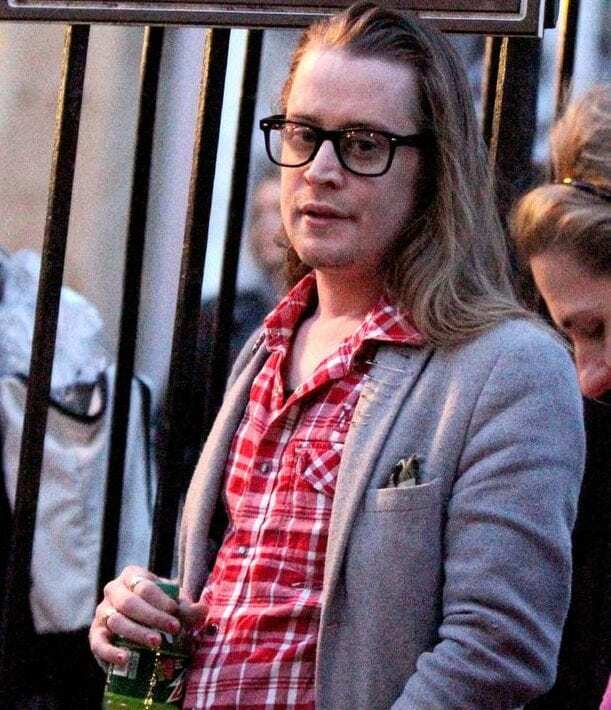 Macaulay had a couple of years there where we weren’t sure if he was 100% all there. Turning his apartment into a painting workshop is not something that is normal for someone like Culkin who was deeply private about his off-screen life. He opened up his home to those who wanted to paint, allowing perfect strangers into his most personal space. The Pizza Underground is a comedy rock band that Macaulay is the lead singer and kazoo player of. The band has been together since 2013 and is still rocking out to clubs all around New York City, with international and national tours every now and then. In 2014, while the band was on tour in England when they had a gig at Dot to Dot Festival in Nottingham, they were booed off stage as the audience didn’t take to the band’s satirical ways. Back in 1988, Macaulay played the role of Cy Blue Black in the film Rocket Gibraltar. Sweet Macaulay was just eight years old when he made his film debut and he did so in such a fantastic way. A born actor, for certain, Macaulay delighted audiences with his acting chops. From the very beginning of his career, everyone knew that Culkin was going to become someone that the world was going to remember. There is something in the Culkin blood that makes for some good actors. 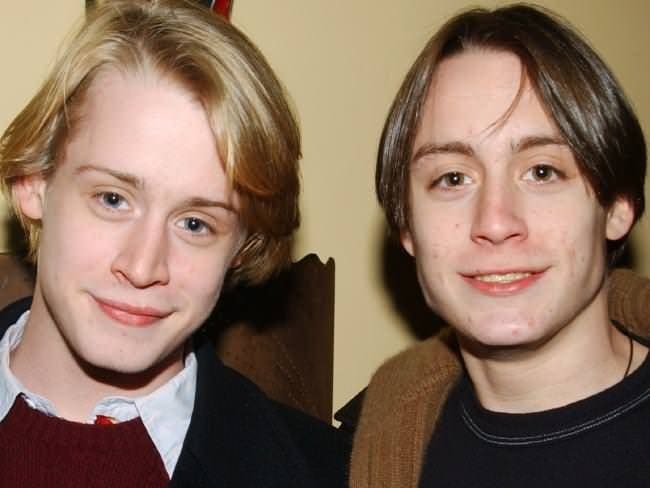 Macaulay isn’t the only actor, his brother Kieran and even younger brother Rory are also well-known actors. Acting runs in their blood as their father is a former Broadway actor and their aunt is actress Bonnie Bedelia. Kieran is known for his roles in films like Movie 43, Father of the Bride, and television appearances in Fargo and Go Fish. Macaulay played the role of Miles Russell in the film Uncle Buck. The film was written and directed by John Hughes. 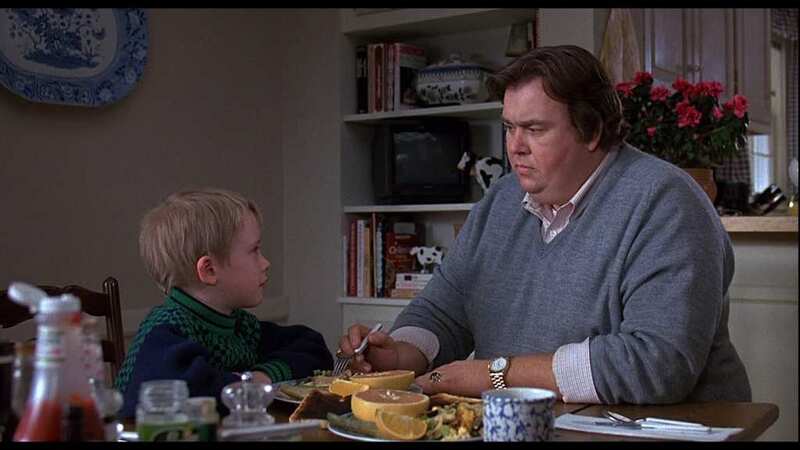 It was John who was also the brains behind Home Alone and was so mesmerized by Macaulay’s acting chops in /uncle Buck that he just had to have him in Home Alone. Hughes was also the brilliance behind films such as Sixteen Candles, Pretty in Pink, The Breakfast Club, and Ferris Bueller’s Day Off. John Hughes was so enamored with Macaulay that he wrote the role of Kevin McCallister for him in Home Alone – it doesn’t get more special treatment than that! Macaulay obviously took the part, little did her know that it would be the film that would throw him into the limelight at lightning speed. 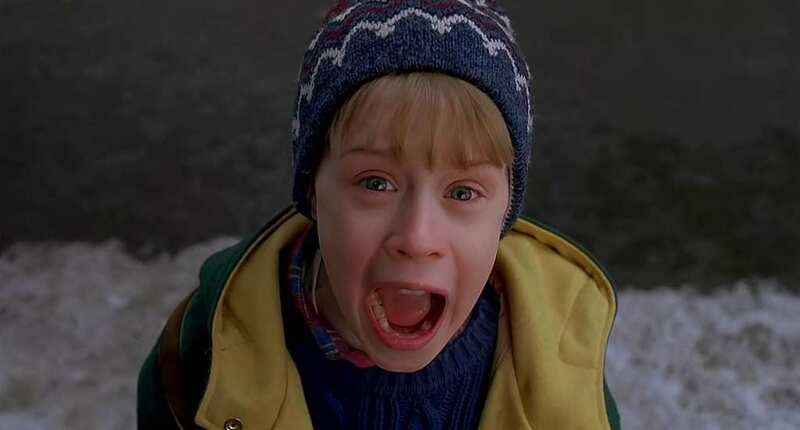 Home Alone became a hit that spawned more hit sequels and catapulted Macaulay into superstardom. 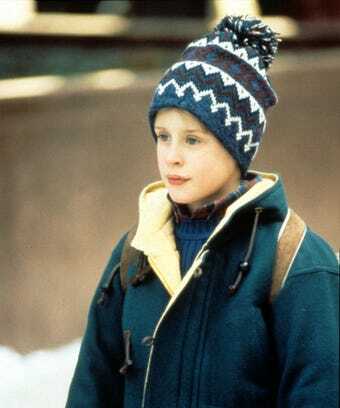 Culkin’s second film after Home Alone, in 1991, was the film My Girl. It was in that film that Macaulay experienced his very first kiss with fellow actress Anna Chlumsky. The sweet moment between two on-screen friends touched the hearts of all those who saw it, not to mention made us all cry our eyes out at the end. Macaulay played the role of sweet and vulnerable Thomas J. Sennett. His kiss with Anna ended up winning the two an MTV Movie Award for Best Kiss! 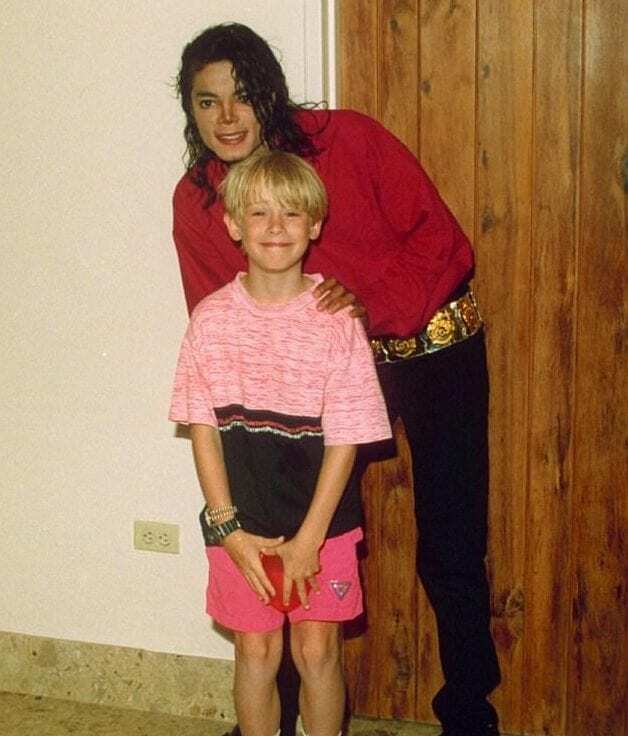 One of the many strange things about Macaulay’s life was the fact that he was one of the many children who frequented Michael Jackson’s home for sleepovers. Culkin would later testify that nothing inappropriate went on at Michael Jackson’s sleepovers and that he never witnessed Jackson doing anything inappropriate with the other children who were there with him. To this day, Culkin swears by Michael’s innocence on what he was accused of doing. Macaulay’s parents were never married but were parents to a large number of children. When his parents separated, his mother got custody of all of the children as well as power over Macaulay’s money. It was then that the money Macaulay was making was returning to good handling as his father was his manager and would squander the money. Macaulay and his father had a very difficult relationship over the years. They are no longer in contact. Macaulay’s parents, Kit Culkin and Patricia Brentrup, were not married but were parents to seven children. Macaulay was the third out of seven children, his other siblings consisting of five boys and two girls. His siblings are: Shane, Dakota, Keiran, Quinn, Christian, and Rory. The entire family of nine lived in a very small apartment in the city when Macaulay was a young boy. Needless to say, when he made his big ticket acting gigs, he moved his family out of the apartment and into a much bigger home. Which turned out to be a huge mistake on Macaulay’s part, which was not his fault as he was a young child when he started acting. His father seemed to live vicariously through his son as he was a former actor who loved it but didn’t make it happen for himself in the end. Kit was Macaulay’s manager for several years, especially throughout the years that Macaulay was at the height of his child stardom. It was after Richie Rich that he told his father to get lost. On IMDB’s trivia section, you will find the little information section about the film being entered into the Guinness Book of world Records. “This film was entered into The Guinness Book of World Records as the ‘Highest Box Office Gross – Comedy,’ accumulating $533,000,000 internationally.” The film has yet to be defeated in its category. Home Alone is still being watched by new generations and seems like it will continue to be seen for more to come. Macaulay did everything young. He reached stardom at a very young age and acted older than he was. He continued on that streak when he married fellow actress Rachel Miner. The two were married from 1998 to 2002 when they officially divorced. Rachel has been in productions such as Alice, Bully, The Black Dahlia, and Penny Dreadful. Her most recent known role was as Meg Masters on the show Supernatural from 2009 through 2013. Macaulay may have been one of the children in Michael Jackson’s home when it was thought to have been a wrong place for him to be, but all parties involved have said time and again that their relationship was a friendly one. So friendly, in fact, that Michael made Macaulay the godfather to his two eldest children, Paris and Prince Michael. Macaulay is not all that much older than the kids but he was important enough to Jackson and knew that he would be a great godparent. This second book is about the people in his life, a non-fictional account of his friends. Considering Macaulay himself is such a colorful character, we are sure this book about his many friends who are just as colorful will be a true pleasure to read. We hope the book is going to be satirical in nature considering he is discussing those closest to him. The book is currently being written and has yet to have a publish date. 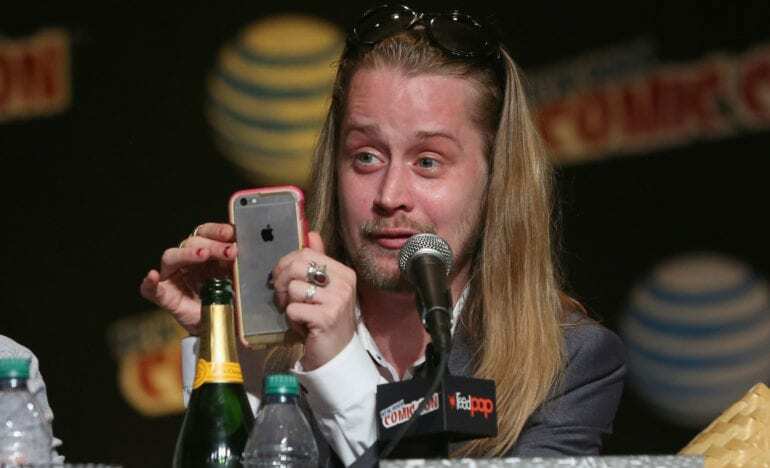 After everything that happened with his parents and how they basically swindled Macaulay out of millions of dollars that were rightfully his, his current net worth is high than we expected – $15 million. 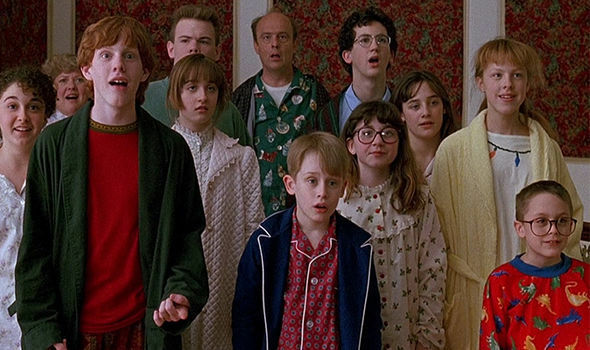 The $15 million in question comes from Macaulay’s revenue from his films when he was a child. He earned a lot more than $15 million but that is what was left after his parents decided to take some for themselves and use their child’s success for their own benefit. From 2013 to 2017, Macaulay was dating actress Jordan Lee Price. Jordan is known for her role as Celia Fitzgerald in the online remake of the famed television soap opera All My Children. 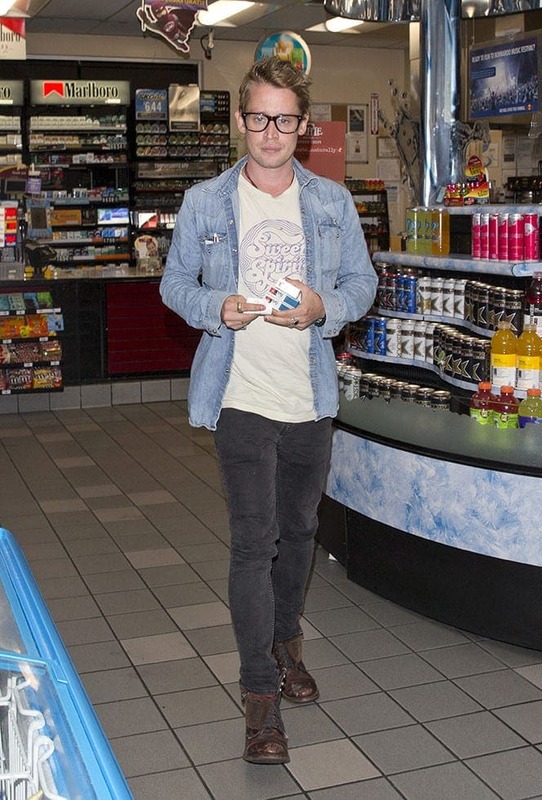 Culkin met Price back in November 2013 and has been seen all over Paris and LA with her. 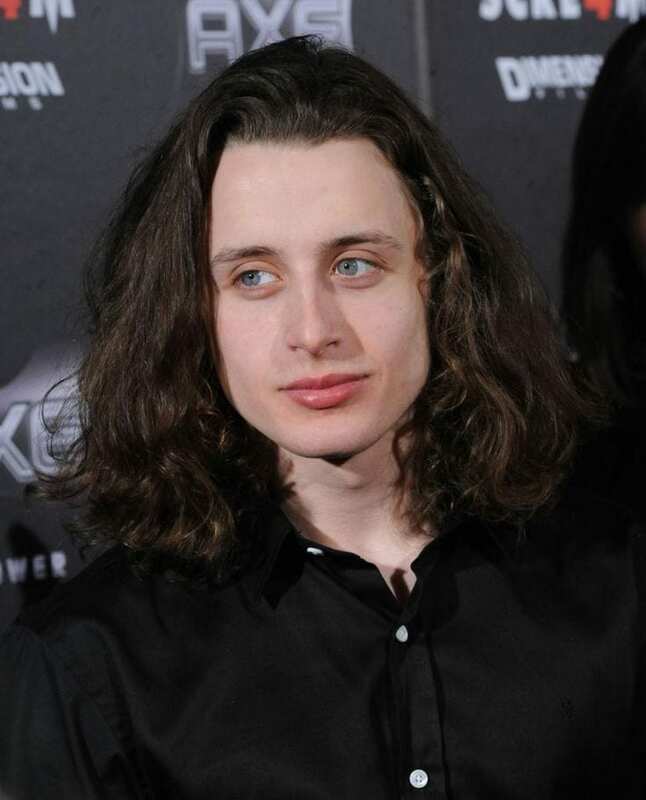 Culkin has been living in Paris since 2013, flying in and out of the city for his musical appearances and other ventures. The mainstream media has yet to announce the official split between Macaulay and Jordan but rumor has it that he has already moved on with someone else. 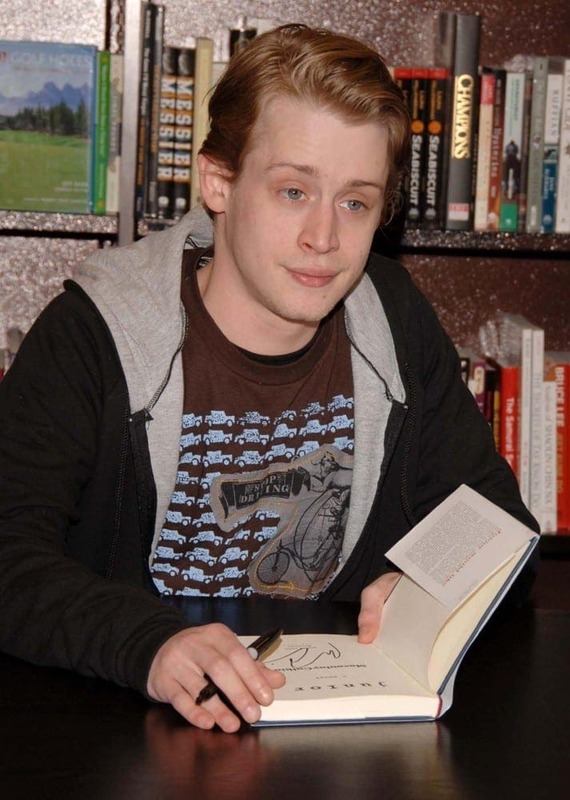 From 2005 to 2010, Macaulay took part in the animated show Robot Chicken. 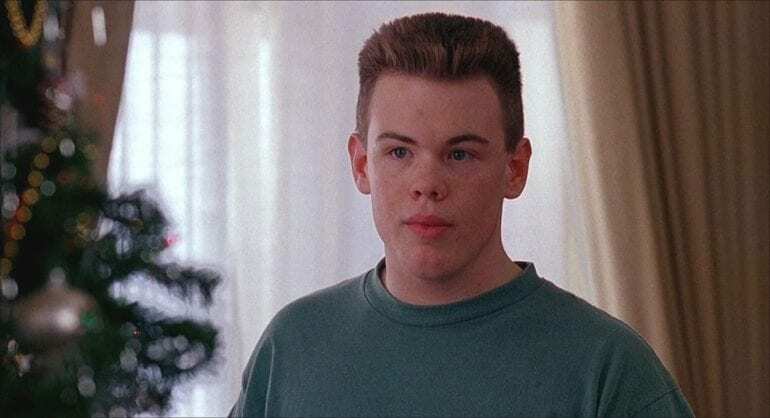 During his years on the show, alongside friend Seth Green, who is also the co-creator, director, writer, executive producer of the show, he voiced the parts of Bastian Bux, Kevin McCallister (how could he not exploit Home Alone just one more time), Billy and Kid. This was a way for Culkin to get back into the entertainment industry without being in front of the camera per se. We mentioned earlier that Kieran is also an actor and has been a part of many projects. 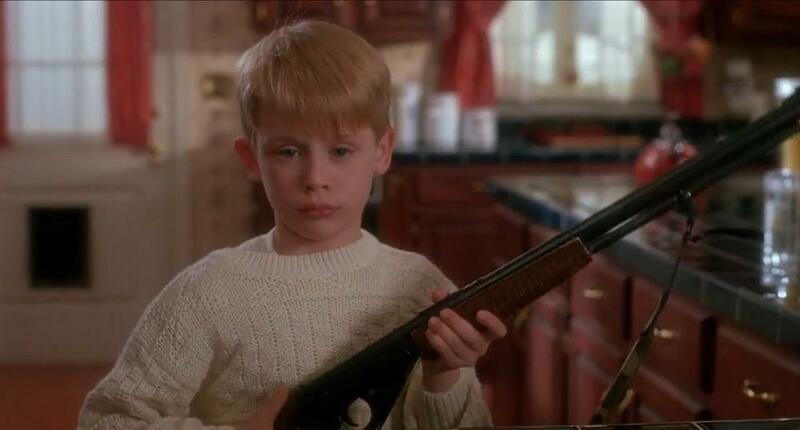 What many people don’t know is that Kieran was actually alongside his brother Macaulay in Home Alone. Remember Kevin’s little cousin that got smushed by the chair during the pizza dinner? That’s Kieran! Lucky for him (and us) he grew out of his dorky look and into one good looking guy! Macaulay was paid hazard pay for his role in My Girl – $1 million. 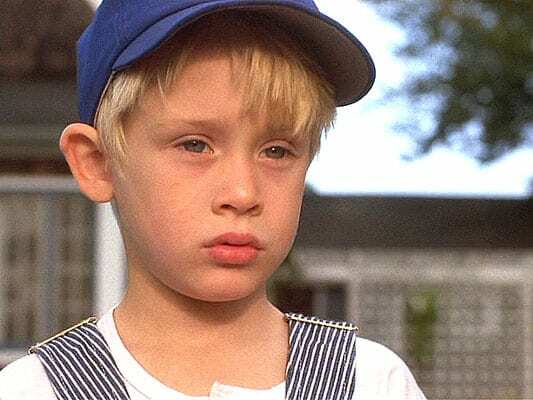 Macaulay was the first child star to ever earn such a sum for a single film, it was unprecedented at the time. He seemingly paved the way for other child stars to make the kind of money they make today, for better or worse. Sadly, Macaulay didn’t get to enjoy his money as much as he should have since his parents took control of it and didn’t give him as much as he had. 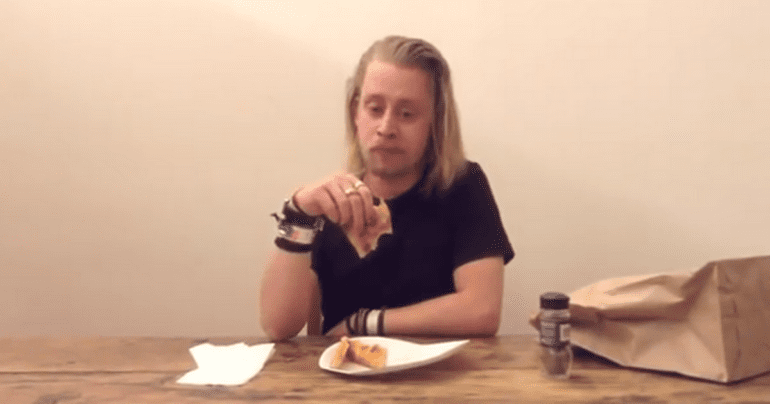 It was in December 2013 that Macaulay’s video of eating pizza went viral. It was Macaulay’s plan to parody Andy Warhol eating a Whopper from Burger King in Jørgen Leth’s 66 Scenes from America documentary. People enjoyed Macaulay’s video much more than anticipated, reaching well over 3 million views. The video is on the Pizza underground YouTube page and has disabled the comment section due to many comments by those who think they are funny. We also said before that Macaulay was close with Michael Jackson. 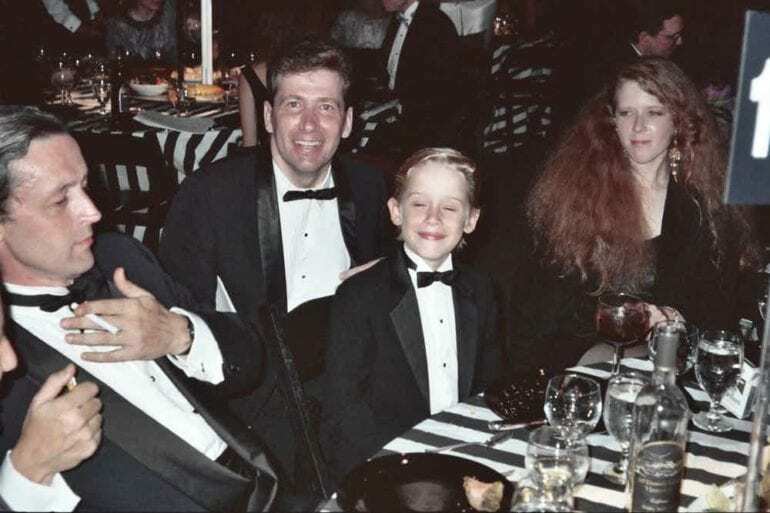 Other than being a guest at his home many times throughout his childhood, Macaulay was also a part of the Black and White music video, as you see here. Michael really adored Macaulay and loved his energy both on and off the screen. 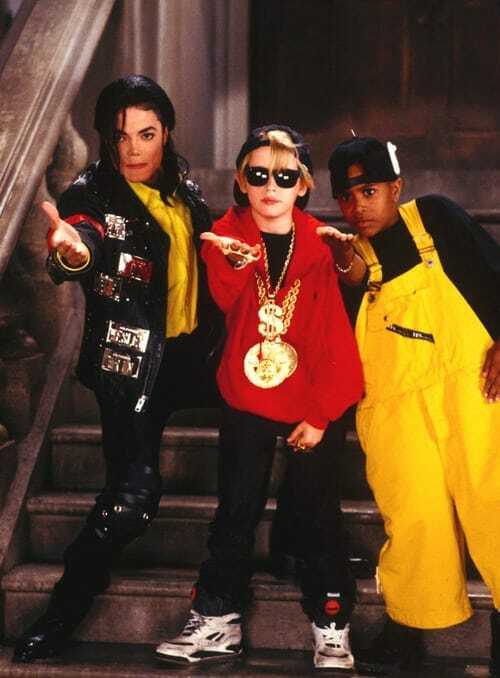 Macaulay also added another dimension to Michael’s artistic expression in his videos. People Magazine has had many lists throughout the years. One of these lists was the 100 Greatest Movie Stars of All Time. Macaulay was on that list, as well he should be. Macaulay is a 90s film icon, reminding 90s kids everywhere of their childhood through the little boy with blonde hair and a huge smile. Even today, Macaulay’s fans are as devout as ever and continue to follow his projects and passions. Paris and Macaulay are two peas in a pod! The godfather and goddaughter got matching tattoos in June 2017 of a small spoon on their inner arm. Little known fact: Paris has over 50 tattoos! And she’s just 19 years old. 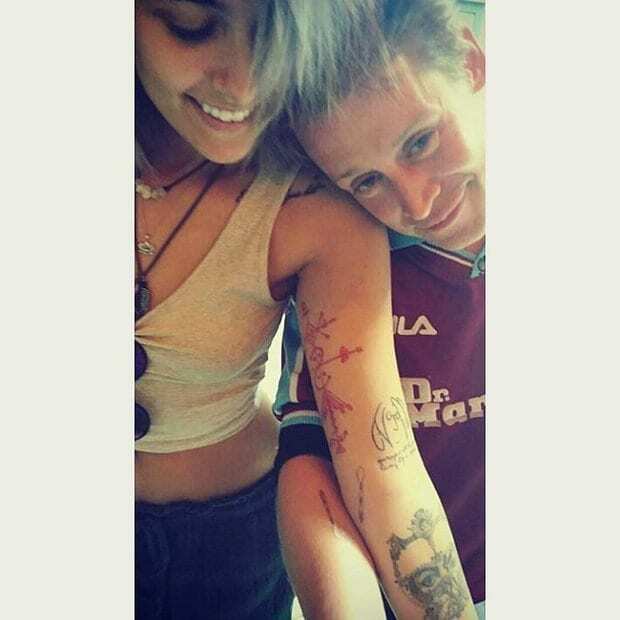 Macaulay didn’t have tattoos beforehand and got his very own ink with his favorite person. Either way they are just the cutest of teams. 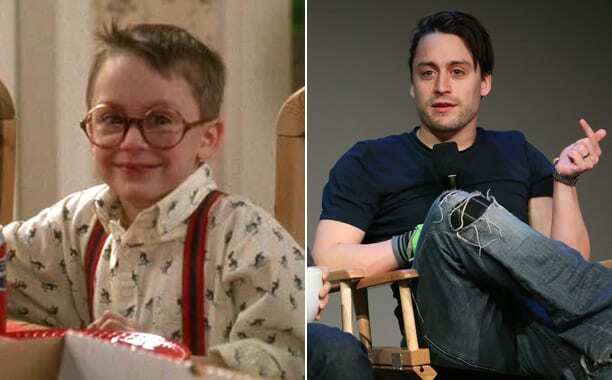 The youngest male Culkin, Rory, has also been bitten by the acting bug. Rory, who’s in his late 20s has been in films like Scream4, You Can Count on Me, Signs, and Columbus. His television credits include shows like Law and Order: Special Victims Unit, Sneaky Pete, and Waco. Rory was also in the film Richie Rich alongside his older brother. 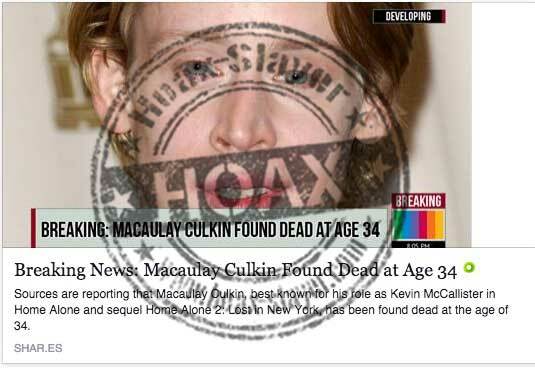 Like we mentioned earlier, Macaulay was a victim of many death hoaxes. His hard and fast lifestyle didn’t help the rumors since it wasn’t too far fetched that that child star had died (sorry, but it’s true!). 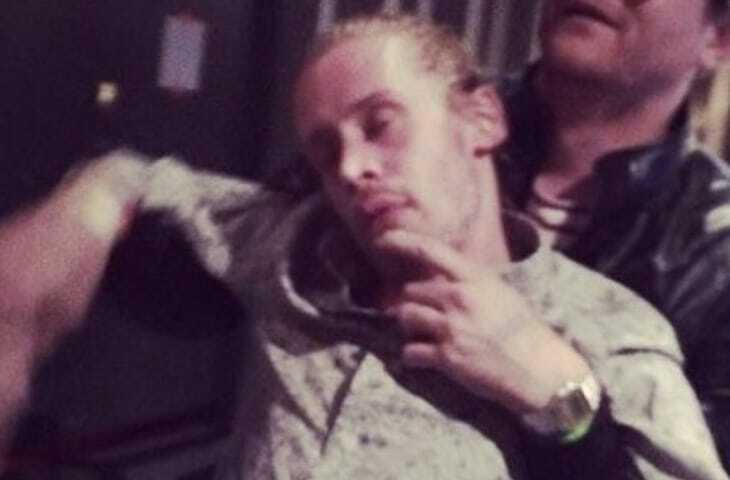 However, Macaulay had a sense of humor about the whole thing and snapped this photo of himself playing dead for his many fans to see. He obviously went on to say that the death notice was a hoax but he got a good laugh out of it at least! Macaulay comes from a very talented family. While his father never made something too big of himself, his aunt certainly did. Bonnie Bedelia is Kit Culkin’s sister and a very well known actress in her own right. Bonnie has been in films like Die Hard, Gloria, Sordid Lives, The Scent of Rain and Lighting, and television shows such as Parenthood, Big Love, and CSI. Joe Pesci is a method actor. 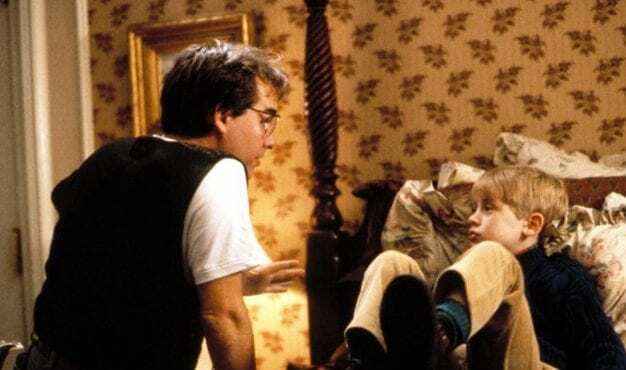 In order to make a young Macaulay truly scared of him, he didn’t talk to him on set and would stay away from him. 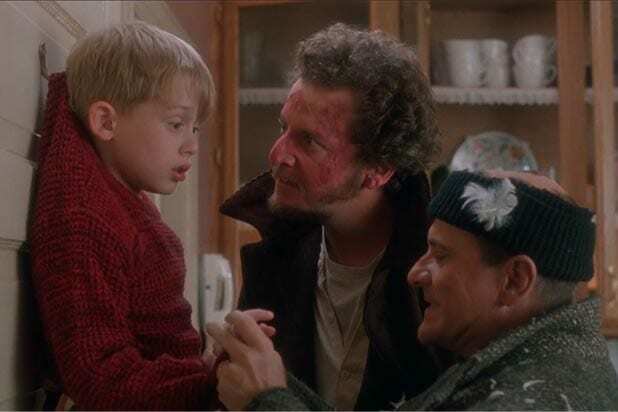 During the scene where the two thieves hang Kevin on a hook on the door, Pesci’s character says, “I’m gonna bite all your fingers off, one at a time,” he really did bite Macaulay’s finger hard enough to break the skin! You can thank mom and dad Culkin for this one. 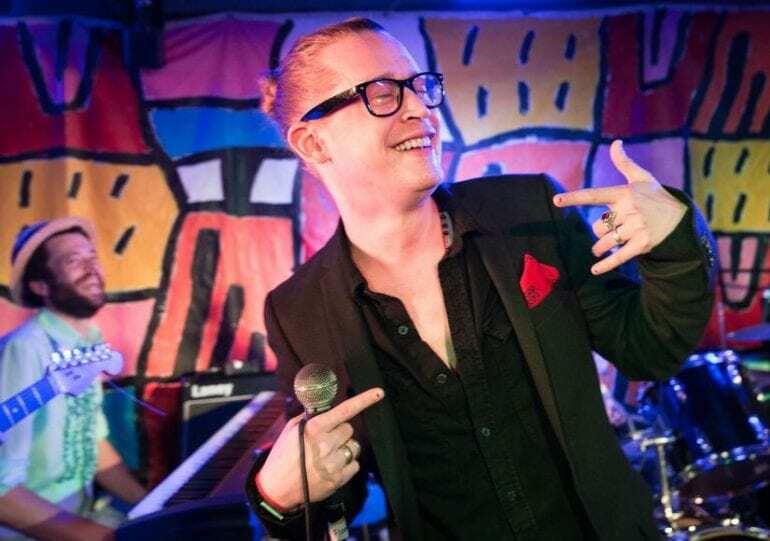 Due to his legal battle with his parents over his money and independence, Macaulay didn’t just rely on his legal team but also learned to read legal documents on his own by the time he was 14. He made sure to understand the documents revolving his case and be as literate as possible in the legal terminology and jargon. Brenda Song is a former child star herself, who starred on the Disney Channel’s many shows and made-for-tv movies. They have been seen together going to dinner along with Macaulay’s friend and former co-star, Seth Green and his wife. There is no official comment by either one of the stars but it was said that the two looked adoringly at one another throughout dinner and that they are more than friends. 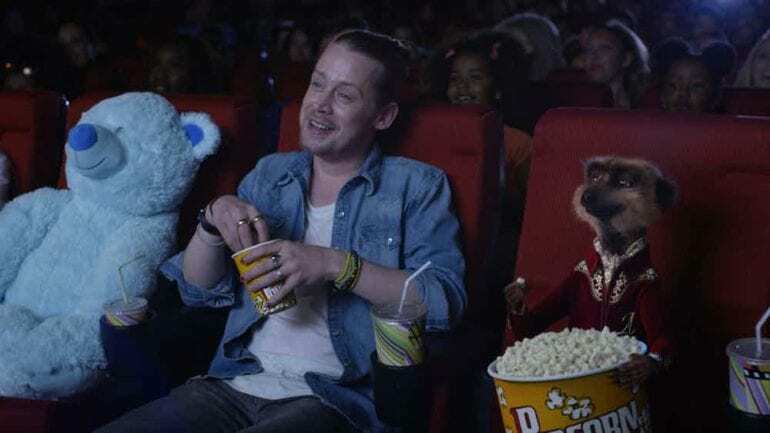 What explains why Macaulay and Brenda were seen together going to dinner is the fact that the two are set to play opposite each other in an upcoming film and that they were on their way to meet their director for dinner. 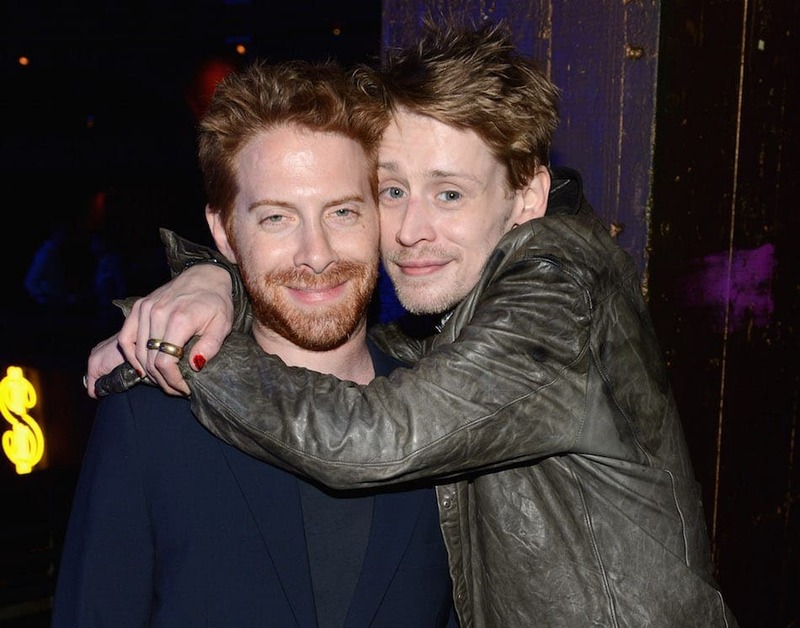 The director in question is Macaulay’s close friend Seth Green, which also explains why he was in the car that took them to dinner. Got to love Hollywood romance rumors! 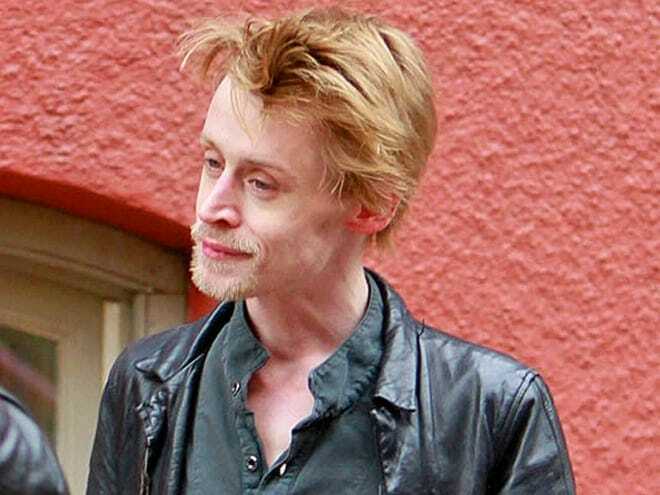 After many years of suspected substance abuse, odd behavior, and depleting looks, Macaulay seems to have bounced back! 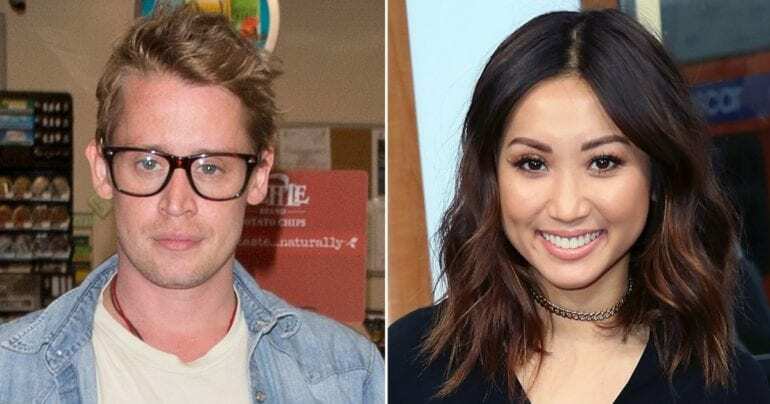 In July 2017, Culkin was seen at a gas station on his way to dinner with friends and rumored new girlfriend, Brenda Song. While at the gas station, paparazzi caught the star buying a few provisions and looking healthier and more put together than ever before. His hair was shorter, he has gained much needed weight and had a pep in his step. 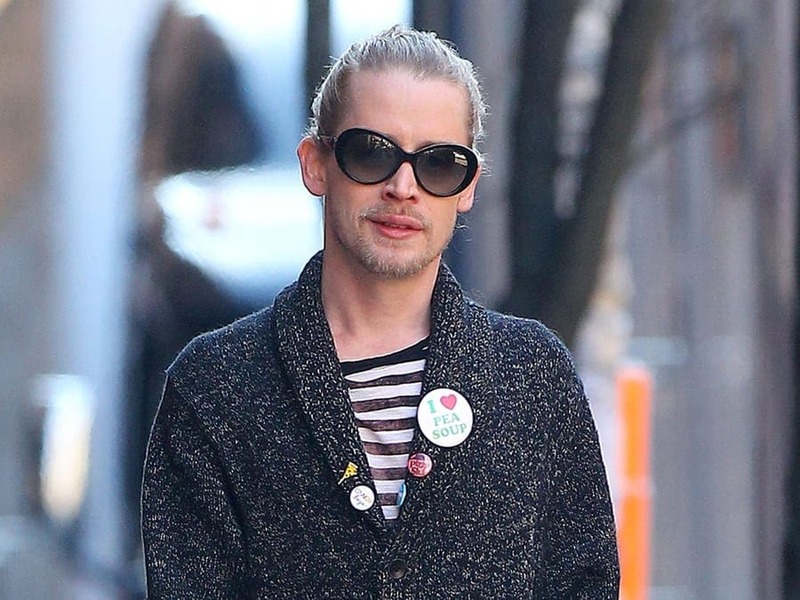 News outlets everywhere went bananas when they got the first glimpse of Macaulay’s new look. From Eonline to CNN, Macaulay’s more subdued, healthy and put together appearance has the world reacting in the most wonderful of ways. There were comments such as: “I think it’s always good to see someone become healthy again,” “Maybe he can do a Robert Downey Jr. and restart his career,” on the various articles about his new look.